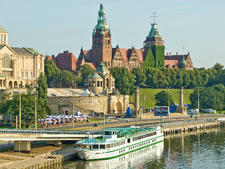 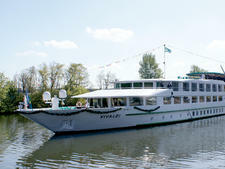 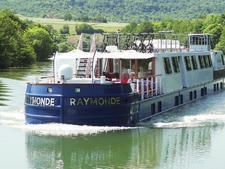 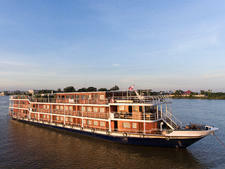 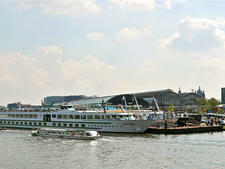 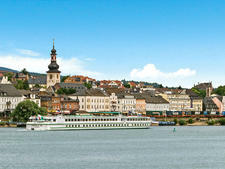 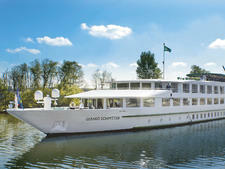 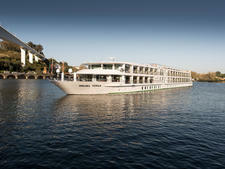 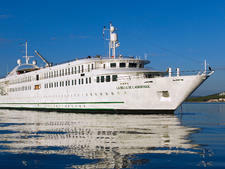 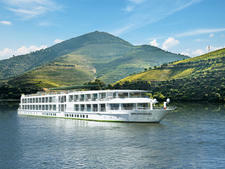 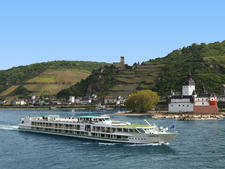 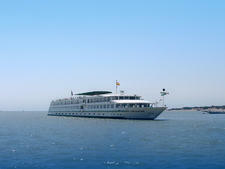 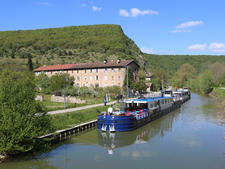 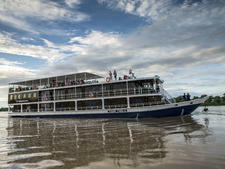 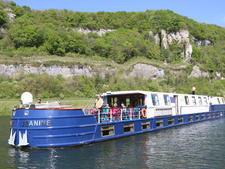 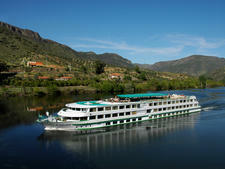 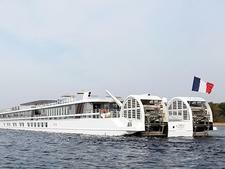 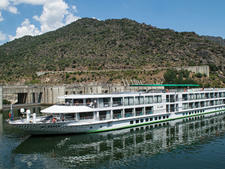 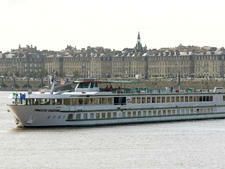 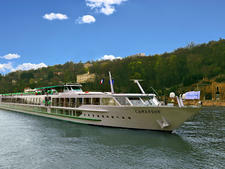 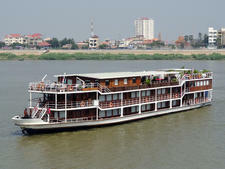 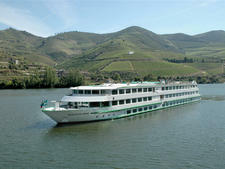 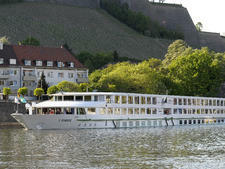 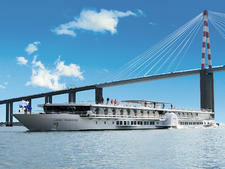 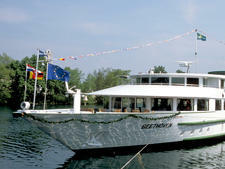 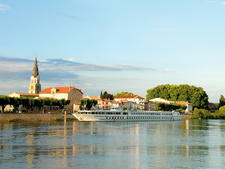 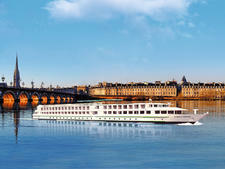 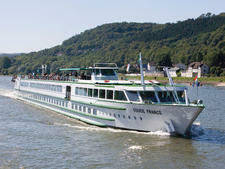 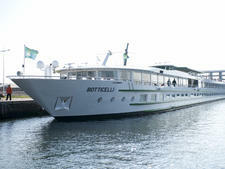 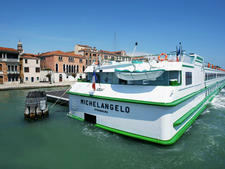 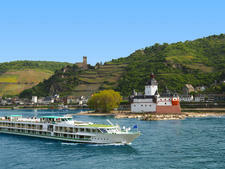 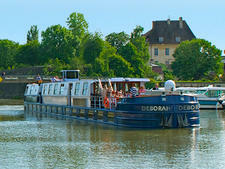 The 98-passenger Victor Hugo is one of a pair of smaller ships in CroisiEurope's fleet of European river cruise vessels. 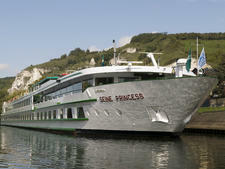 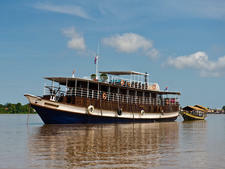 The ship and its sibling, Mona Lisa, each measure 269 feet in length and were designed for shallower rivers. 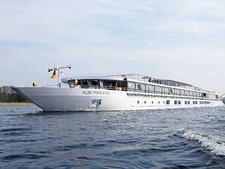 Victor Hugo, which was built in 2000 and refurbished in 2010, sails three- to 12-night itineraries on the Tisza, Elbe, Danube and Rhine. 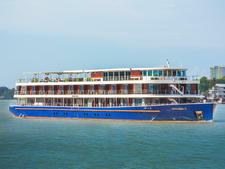 There are 49 cabins -- each measuring 75 square feet -- which are divided between 20 on the upper deck and 29 on the main deck. 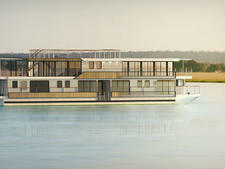 They all have double beds that can be configured as twins, floor-to-ceiling picture windows, showers, TVs, hair dryers, safes and air-conditioning. 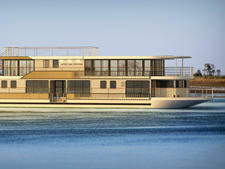 In addition to the two cabin decks, there's also a sun deck. 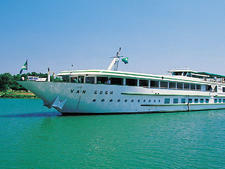 The dining room and panoramic lounge, with a bar and dance floor, are both on the upper deck, and other onboard facilities include a gift shop. 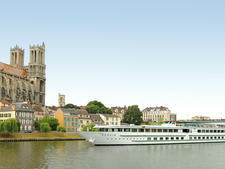 CroisiEurope places a lot of emphasis on its French heritage, and meals onboard are inspired by French culinary traditions. 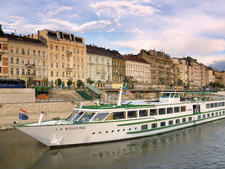 Three-course lunches and dinners feature many of the country's classic dishes. 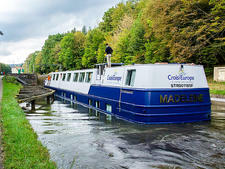 And with Alain Bohn, the company's head chef, serving as an active member of the French culinary association Maitres Cuisiniers de France -- which champions French food and drink -- you can expect the menu to be decidedly French. 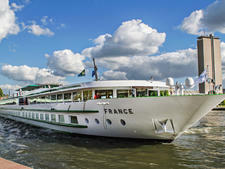 Lunches and dinners are set menus, and breakfast is buffet-style, with baguettes, yogurt, muesli and cold cuts among the options. 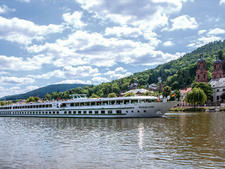 CroisiEurope has introduced an all-inclusive "open bar," and high-season fares now include complimentary drinks from the bar in addition to mineral water, fruit juice and coffee during the day and house wine, beer and drinks with meals. 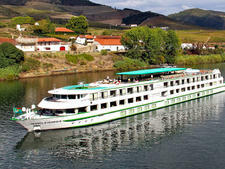 It excludes Champagne and drinks on the wine list.